We are the leading manufacturer and supplier of Welding Automation Equipment and welding automation equipment which are made from high quality of raw material. 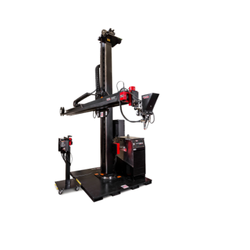 This welding automation is designed in order to ensure easy assembling or fitting on drill machines. We do a quality inspection of this welding automation before delivering at the client’s end. Looking for Welding Automation Equipment ?